As part of that process, the second teen sat down with his parents, someone from the hardware store and a facilitator to talk about what he did and how each of the parties had been affected by it. After a few hours, the group came up with a plan for the teen to make amends: make good grades, meet weekly with a counselor and pay back his half of the stolen saw. “The whole encounter was very positive for him. He felt bad. He met with people from McGuckin. He moved on,” said Boulder district attorney Stan Garnett. “He didn’t spend time in prison and he didn’t spend time meeting other kids always coming in and out of the system. Boulder is one of many places around the country turning to restorative justice as an alternative to prosecution and possible imprisonment. Instead of fighting the charges in court, offenders selected for restorative justice agree to accept responsibility for their actions, meet face-to-face with victims and come up with a plan to repair the harm they’ve caused. Some jurisdictions are even using the strategy with adults, incorporating it into their probation for those who avoid prison time. Thirty-five states have adopted legislation encouraging the use of restorative justice for children and adults both before and after prison, though many local law enforcement departments have for years relied on local nonprofits to perform the sessions without an official blessing from the state. As states step back from mass incarceration, restorative justice is becoming more widespread and formalized. Last year West Virginia set aside funding for restorative justice and other alternatives to incarceration in the juvenile justice system. Some states, such as Vermont and Colorado, have passed laws that encourage the use of the strategy statewide by creating agencies that oversee or even provide the service. Restorative justice is based on practices from indigenous cultures, and many schools have long used it as an alternative to suspension and a way to help students think through the consequences of their actions. 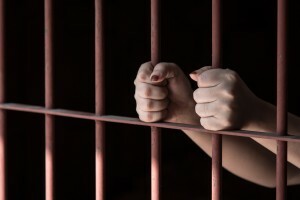 Similar practices have been used in the juvenile justice system since the late 1970s, and its success there has led many places to expand it to adults. In Colorado, for instance, judges in some jurisdictions can order that adults be considered for restorative justice if they are sentenced to probation rather than prison. Offenders are assessed to see if they would be a good candidate for restorative justice by taking responsibility for the crime and not saying anything that would traumatize the victim. After a series of meetings to prepare both sides, the “circle” takes place. Both parties get a chance to talk about the crime, what motivated it and how they were affected — which often elicits empathy on both sides. The parties agree on a way the offender can repair the harm he’s caused, and this is overseen by the group’s facilitator, who ultimately reports to the probation office. Greg Brown, the chief probation officer in Boulder, said the circles aren’t meant to be a place where offenders grovel for forgiveness or victims lay guilt trips. Offenders can talk about the circumstances that led them to commit the crime without using them as an excuse. Hearing stories not just from the victim, but from those close to the offender about how they were affected, can help offenders realize how the incident affected the lives of everyone involved. In a recent case in which two men attacked another man wearing a yarmulke in a bar, Brown said, the coordinator brought in someone trained in bias to help in the discussion, largely because one of the offenders, who visited the bar with his Jewish friend, did not understand why he was charged with something akin to a hate-crime. The session took place before sentencing, and Brown said after the conversation the victim no longer wanted the offenders to have the maximum sentence. The judge allowed the chief attacker to serve his jail time in short stints so that he would be able to keep his job. The bar owner also was included in the session and lamented that his business had a reputation for being a rough place. The other attacker designed a mural about inclusion for the owner to place in the bar. Making a restorative justice session happen requires the agreement of all parties, but most states require that the process be initiated by the victim. As restorative justice becomes integrated into the criminal justice system, offenders may find it in their best interest to participate — something Shannon Sliva, an assistant professor at the University of Denver, said is a concern for some restorative justice teachers. “Where does the voluntariness go when it is tied to probation and what deal they get?” Sliva said. In cases when the victim does not want to participate but an offender still wants a session, facilitators find someone to represent the victim’s point of view, or might have the offender’s family play a greater part in the process. But some offenders might fear participating, particularly if they think they might not fare well in the justice system. Catherine Childs, who facilitated the circle for the attacked man wearing the yarmulke, said that session showed the way privilege can affect the process. The attackers were from wealthy families and could afford to fly the out-of-state victim back to Boulder for the conferences. The main attacker also agreed to delayed sentencing, turning down an initial plea deal with a short sentence in hopes the judge would be swayed by the outcome of the restorative justice session. That’s a risk those who fear being treated unfairly by the justice system might not be willing to take, Childs said. Liz Porter-Merrill, a public defender in Denver, said she also has some concerns about restorative justice not being offered to minorities, who might not be viewed as good candidates as often as their white counterparts. In the small area covered by Colorado’s juvenile pilot program, more Hispanics were offered restorative justice than whites. But she said as restorative justice spreads to different areas and age groups, the state should strive to reflect the racial composition of minority-heavy arrest rates, not the state’s general population. In Colorado, it’s difficult to tell just how much money restorative justice might be saving. Garnett’s office now takes on the additional work of supervision and collecting restitution, tasks that used to fall to the court. The program has been funded by about $430,000 in county, state and federal grants since 2014. But comparing the costs is complicated. The jurisdictions that participate in Colorado’s juvenile pilot program typically spend in the neighborhood of $1,000 on restorative justice sessions. Court costs were estimated to be $600, but those figures were just for court staff and did not include the salaries of district attorneys or probation officers. Nevertheless, low recidivism rates show restorative justice programs can be more effective than the traditional justice system. And advocates point to participants’ satisfaction with the process as another measure of its success. Deb Witzel, Colorado’s restorative justice coordinator, said the state’s juvenile pilot program, of which Boulder is a participant, has already held sessions with about 250 kids. An initial review shows participants’ recidivism is low, around 8 percent. But because the program started in 2013, many juveniles have only been out of the program for a few months. Other programs with longer track records have similar results. Young participants in Longmont, Colorado, had recidivism rates of 10 percent. There are other signs that people are happy with the program. In Colorado’s juvenile program, participant satisfaction is over 95 percent, and over 90 percent of offenders complete their agreements to make things right. “The dirty little secret to why restorative justice is successful is because it’s voluntary. You’re doing it because you’re accepting responsibility,” said Colorado state Rep. Pete Lee, a Democrat who helped create the state’s juvenile pilot program. This is part one of a two-part series on restorative justice.